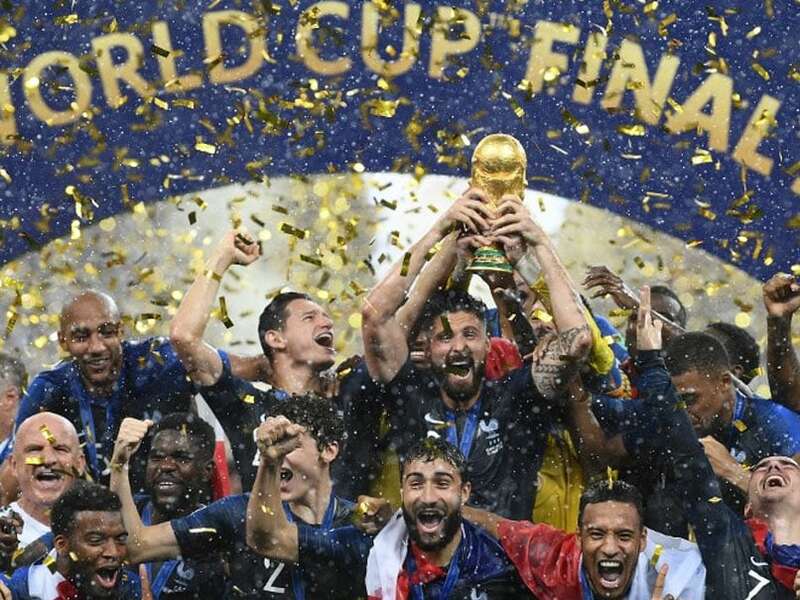 At the Carillon bar in eastern Paris, fans crowd surfed and barmen sprayed champagne as "Les Bleus" closed in on their victory. Striking images of World Cup celebrations at a Paris bar targeted in the deadly November 2015 attacks ricocheted around social media Monday, potent symbols of France's resolve to not live in fear despite a persistent terror threat. It was a welcome celebration for a country still reeling from the massacre of 130 people enjoying a Friday night out three years ago, one of a wave of attacks which have claimed nearly 250 victims. "To be world champions here, it's a symbol," said Benoit Bardet, a young IT consultant who is "not especially a football fan", told AFP outside the Carillon. "Coming here with my mates was a way of remembering, and to show that Paris won't die," he said. The drinks flowed in a sea of blue, white and red, the national colours on jerseys and flags being waved with abandon. Many saw the World Cup victory as a chance to reverse the country's fortunes and help ease tensions, in particular in deprived urban areas where large immigrant communities often complain of being treated as second-class citizens. "Seeing everyone all together in the street, it's mad," Ludovic Guaignant, a technician wearing an Antoine Griezmann shirt, told AFP outside the bar. "There aren't any more problems, racism -- everyone's together. You only get that with football." Emma Passama, her shoulders draped in a blue, white and red garland, also felt it was her symbolic duty to come and celebrate here as a patron of the Carillon bar. "They have lost clients since the attacks, so this is a way of supporting them," she said. "Plus, we aren't getting stepped on like in the (Champ de Mars) fan zone!"